Which brings me to why the PS Vita is my favourite portable console. It doesn’t mess around with gimmicky 3D or have dual displays. It has an almost ideal blend of technology, featuring a single large display and dual touch-screens, and backwards-compatibility with PSP titles means it has the leg up on Nintendo, who at least seem to be doing something with Virtual Console on the 3DS and the Wii U. You can take screenshots on the PS Vita, which almost single-handedly makes it a winner over the 3DS in my books. The screenshots even automatically organise themselves by game (even iOS 9 only manages to put screenshots into their own album, let alone by app). Transferring the screenshots to a PC is easy enough, even if you have to download an app, but the fact that Sony’s Content Manager Application can also backup game data is pretty cool. In short, the PS Vita just feels like a portable console for grown-ups, who have other devices and want the PS Vita to work with them, too. It’s quite a difference when compared to the marketed-and-aimed at kids 3DS. When it comes to specs, the PS Vita beats the 3DS hands-down. It has a faster processor, better graphics card, and more onboard memory. You can even get a version of the Vita that has a 3G card, for when your portable console needs its own always-on internet connection. Dual analog sticks come standard on the Vita, and although there are two touch-sensitive areas, thankfully there aren’t too many games that use the rear touchpad (and the ones that do use it well). By comparison, the New 3DS received its second analog stick with the New hardware refresh in 2014. While the New 3DS closes some of the technological gap between itself and the Vita, there’s still no getting around how the system puts its eggs into the basket aimed solely at younger players. Settings and options are scarce, and there’s still no good way of capturing content on the 3DS to share — doesn’t Ninty realise that sharing is a key component of being social? That’s not to say the PS Vita is perfect. The OLED display may have fantastic colour reproduction and great black levels, but I can already see some form of burn-in/degradation of the LEDs on my model, although only in pitch-black scenes. There’s a port on my original Vita that remains completely unused, buying Sony’s memory cards for digital-downloads is basically extortion compared to micro-SD based memory, and if I had to nitpick, the blue light of the PlayStation logo on the front is perhaps a little too bright when I’m playing alone in my room with the lights turned off. I’ll still play my New 3DS. There’s a Fire Emblem Awakening playthrough I have to perfect, and that’s not even talking about the new Fire Emblem Fates. 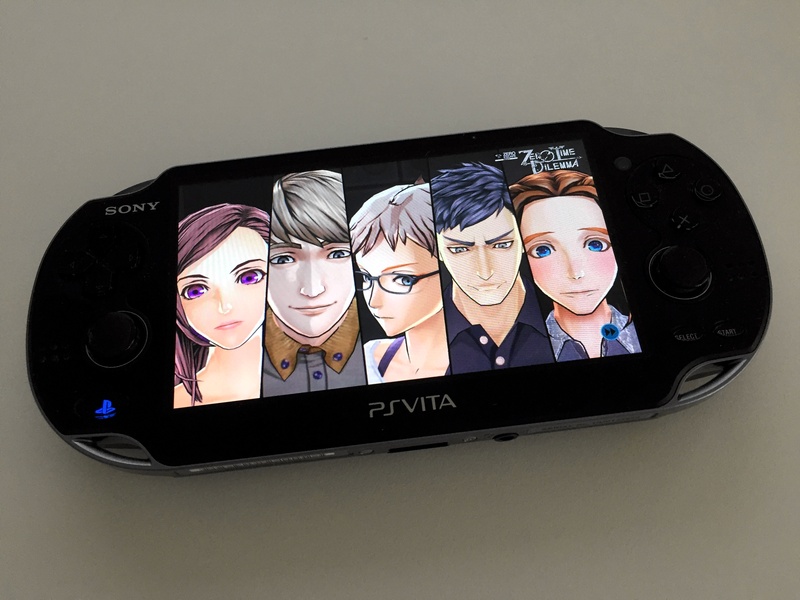 But the PS Vita is my favourite portable console, and I don’t see that changing any time soon.